I went to College of the Atlantic for my undergraduate education, where each student receives a Bachelor of Arts in Human Ecology. 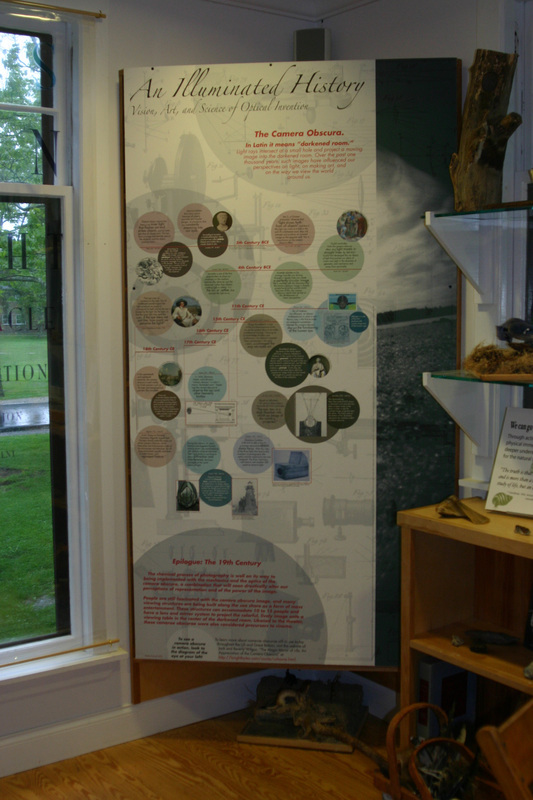 Part of what defines the COA experience is the senior project, a degree requirement, in which the student conducts self-directed research and develops a project based on their studies over prior years. 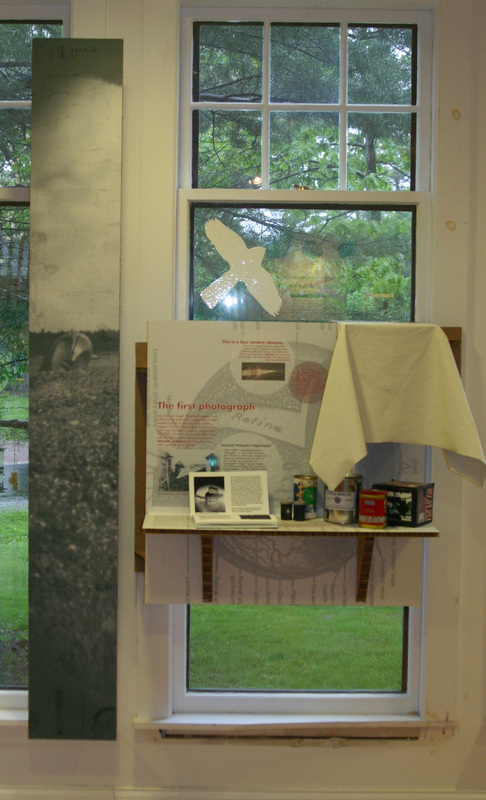 I combined my interest in museums, graphic design, and pinhole photography and chose to research the history of the camera obscura. 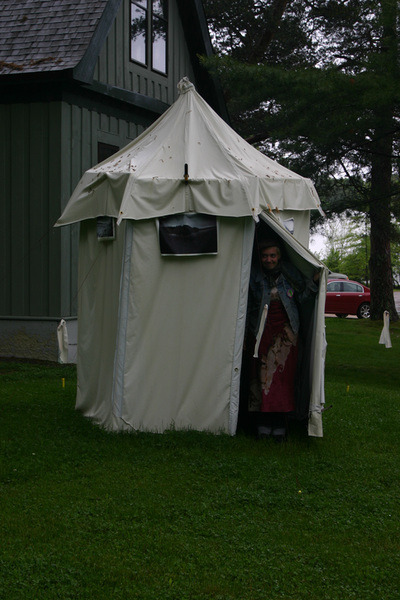 I designed and built a walk-in tent camera obscura, and created an exhibit at the Dorr Museum of Natural History about the camera obscura phenomenon and its influence on science and art through the ages. Display about the optics behind the camera obscura effect, with a box camera obscura. Panel about the history of the camera obscura effect in art and science. 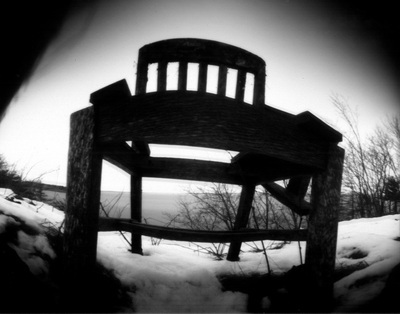 Enlarged prints of pinhole photographs. The paper negatives are displayed below each print. 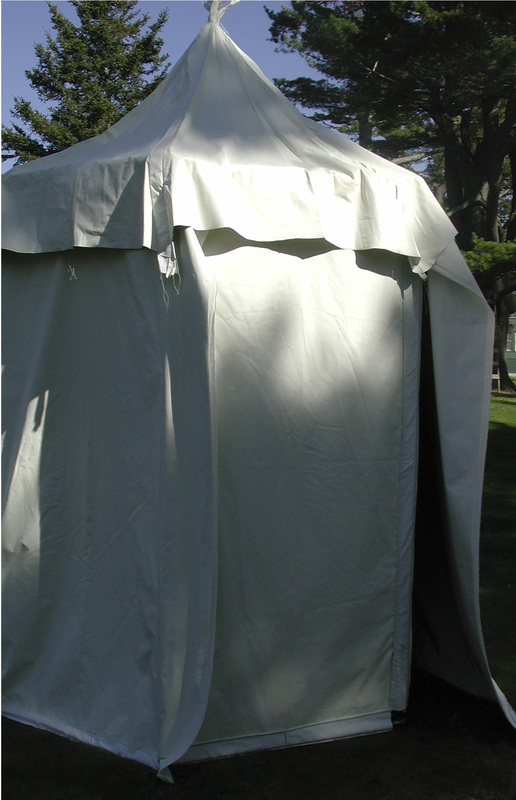 The tent camera obscura, built using copper pipes and blackout curtain fabric. The tent camera obscura during construction. 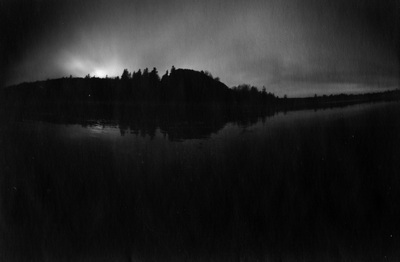 Pinhole photograph, oatmeal canister camera, paper negative. 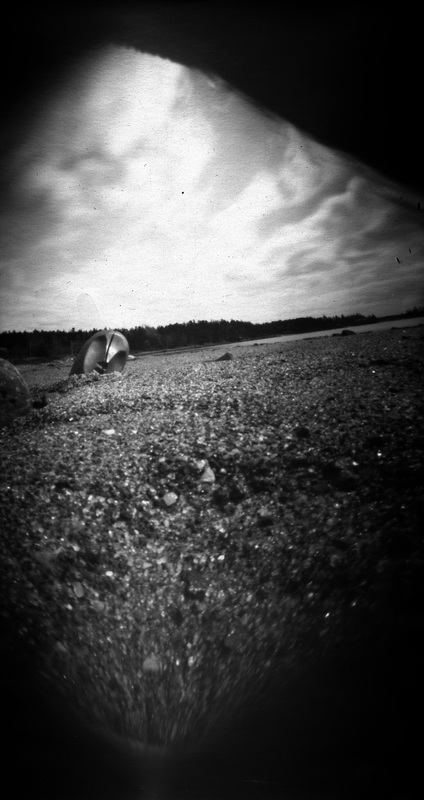 Pinhole photograph, sand beach, gallon paint can camera, paper negative. Pinhole photograph, sand beach, pint paint can camera, paper negative.